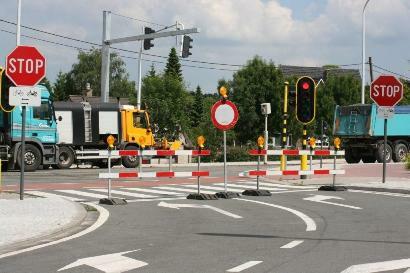 efficient co-ordination of road and utility works. The core of the platform consists of a secured portal and database. Furthermore information is propagated to the public as open data through a public service API, a WMS and www.geopunt.be. As a result, nuisances are known beforehand, works to be carried out can be organised considering each other’s timings and alternate routes can be worked out in time.